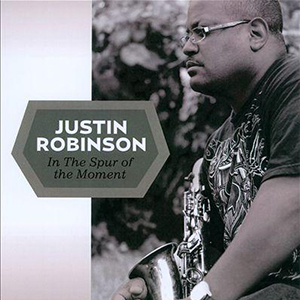 Alto Saxophonist Justin Robinson is a true student of music. Deeply rooted in the traditions of swing, this Manhattan based saxophonist is considered to be one of the strongest sidemen in the business. Inspired by jazz legends like the great Jacky Mclean and Charlie Parker, Robinson has a sound rich with knowledge of jazz language and phrasing. 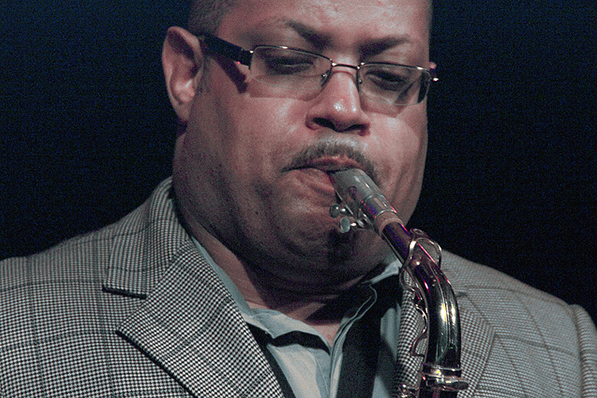 Playing with the Harper Brothers, Little Jimmy Scott, Cecil Brooks III, Diana Ross, Abbey Lincoln, the Carnegie Hall Jazz Band, The Dizzy Gillespie All Star Band, and the Roy Hargrove Quintet, Robinson has played with some of the New York’s finest. ”My journey was different than a lot of guys. More of my desire is to learn more about the music. It’s a maturation process. I’m more concerned about the quality of the music being played than being a star. I want to play good and make a contribution. Coltrane cared about getting better. He was concerned with being a better musician.” Not falling prey to the flash of the spotlight, Robinson keeps his focus on the music. Stepping away from his regular position as sideman, Robinson is out with his first CD release in10 years, In the Spur of the Moment. With Larry Willis on Piano, Roy Hargrove on trumpet, Dwayne Burno on bass, and Willie Jones III on drums, Robinson has brought together a strong group of musicians. In a blend of original compositions, and classic standards, In the Spur of the Moment is clearly the product of a jazz purist. Stripping the music down to basics with some good old swing, and smooth melodic lines, this is a collection of straight ahead jazz. Both bright and smooth, Robinson’s tone is easily distinguishable. Without flash, he uses his instrument as a novelist uses his pen, telling stories with every piece. Utilizing space, his solos beautifully develop into unexpected directions. Contrasting his flowing melodic lines, Robinson plays with single melodic notes, working it into interesting rhythmic patterns. With lines that do not feel like overly rehearsed licks, his solos are honest and well thought out. He is taking the listener back to the golden days of good, old-fashioned swing. In the Spur of the Moment is a swing junkie’s dream. With a quarter note as solid as a rock, drummer Willie Jones III keeps the time feeling fluid and fresh. Cookin’ away on his ride cymbal, Jones has a beautifully light touch on the drum-set. On the bass is Dwayne Burno. His walking feel is solid, round, and bouncing exemplifying what it means to be the anchor of a band. Jazz veteran and pianist Larry Willis brings his experience and maturity to the table. A unique blend of 70s fusion and 50s hard bop, Willis is a seriously bad cat. 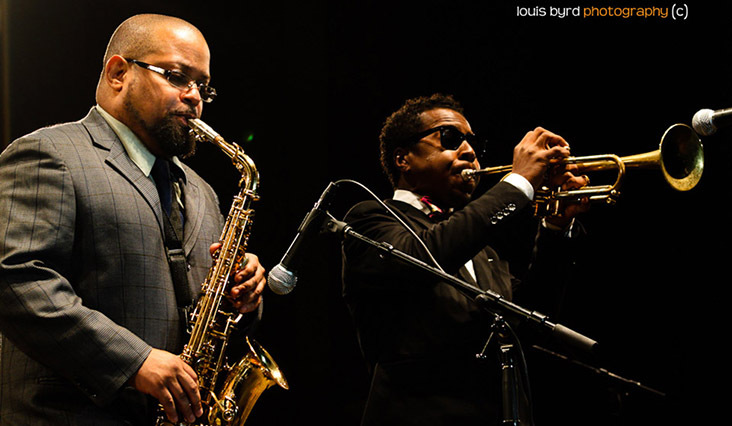 Much like Freddie Hubbard on Wayne Shorter’s Speak No Evil or Herbie Hancock’s Takin’ Off, Roy Hargrove embraces the role of the sideman. With solos both understated and tasteful, Hargrove is clearly bowing his head out of respect for his long-time friend and peer, Robinson. After a long 10 years of musical growth and development, Justin Robinson has come out with a beautiful collection of sonic art. In what is collaboration of jazz innovators, In the Spur of the Moment is a listen that will have your fingers snapping and your feet tapping.